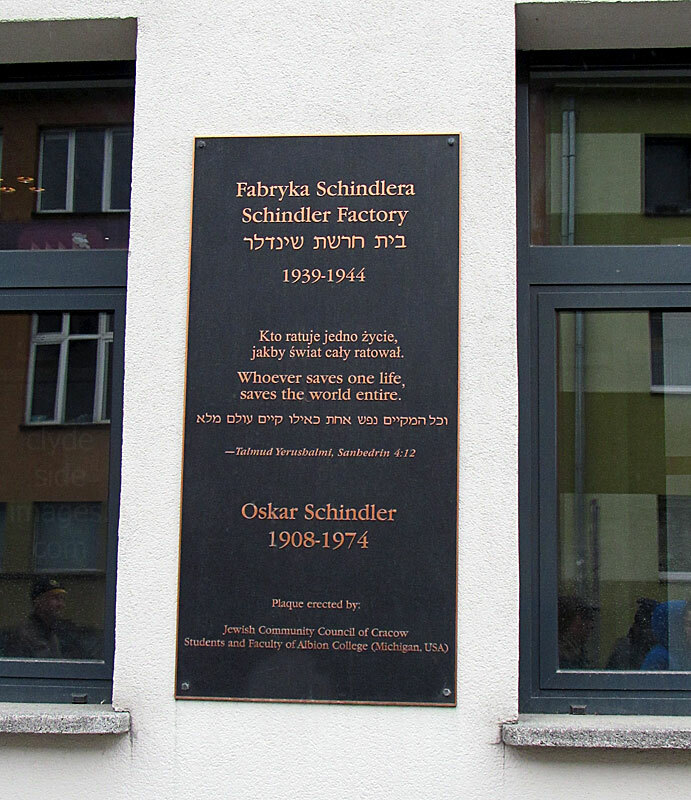 Oskar Schindler (28.04.1908 – 9.10.1974) was a German industrialist, spy, and member of the Nazi Party who is credited with saving the lives of 1,200 Jews during WW2. 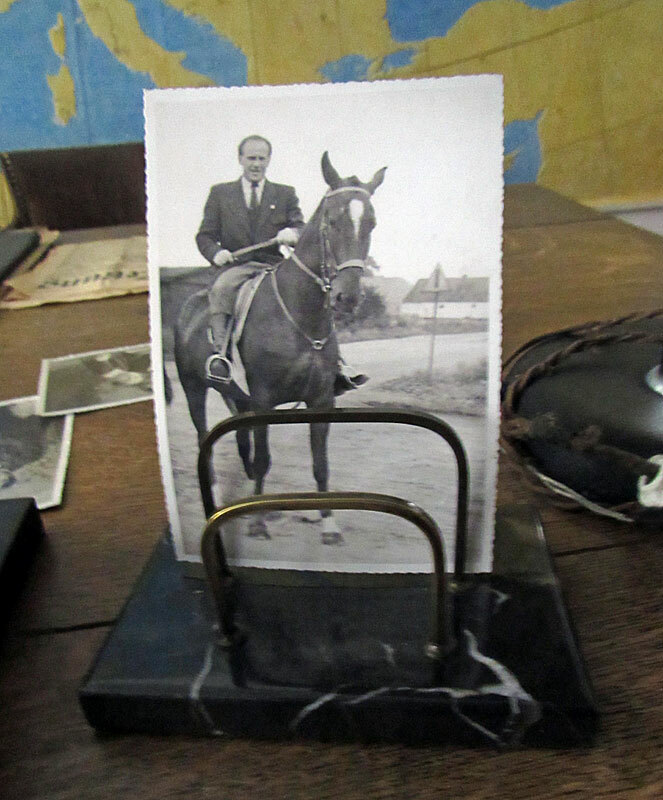 Schindler grew up in Moravia which now forms part of the Czech Republic, and worked in several trades before joining the Abwehr, the German military intelligence department, in 1936. 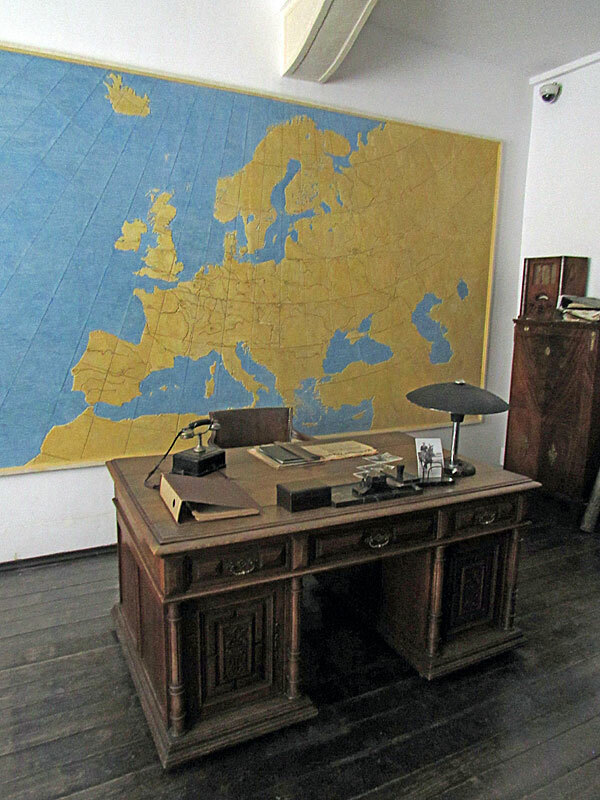 Prior to the German occupation of Czechoslovakia in 1938, he secretly gathered information on railways and troop movements, however, he was caught and arrested for espionage by the Czech government. 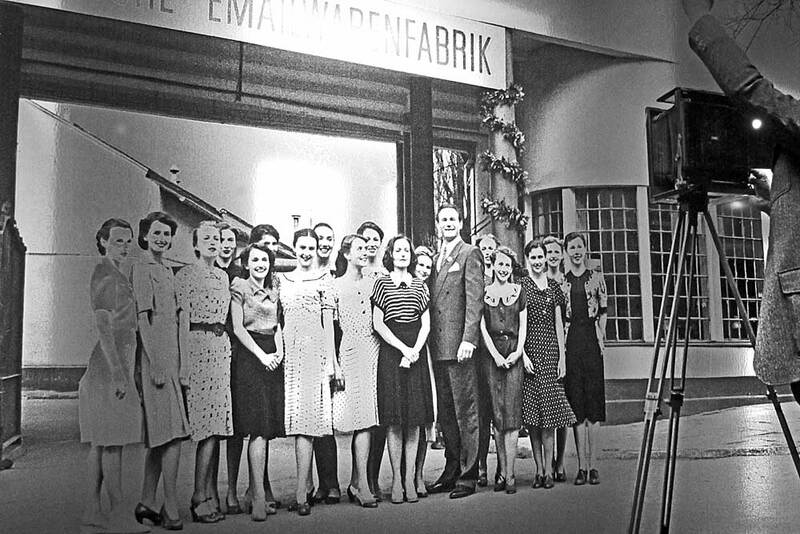 Following diplomatic wrangling, he was released and returned to Germany. 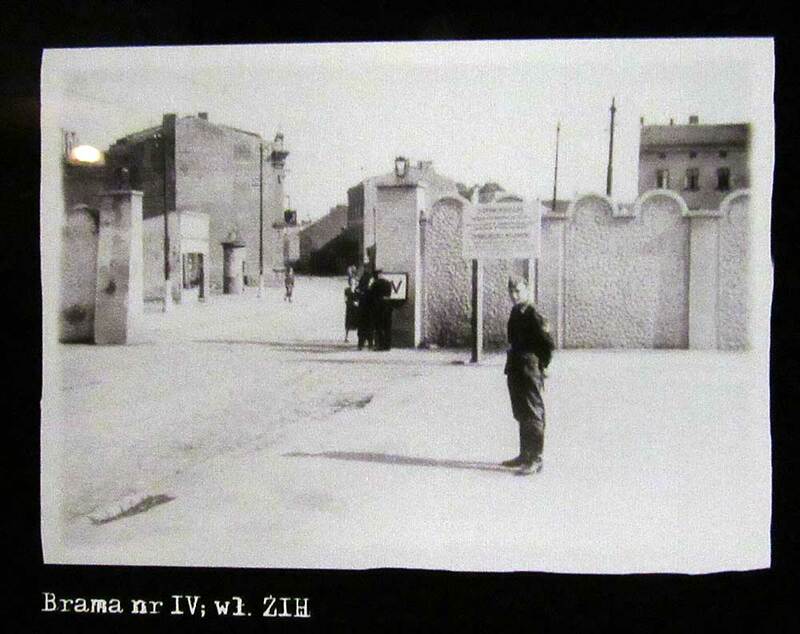 Schindler moved to Poland and was working there just before the invasion that heralded the start of WW2. Once again, he passed on useful information to the German military. 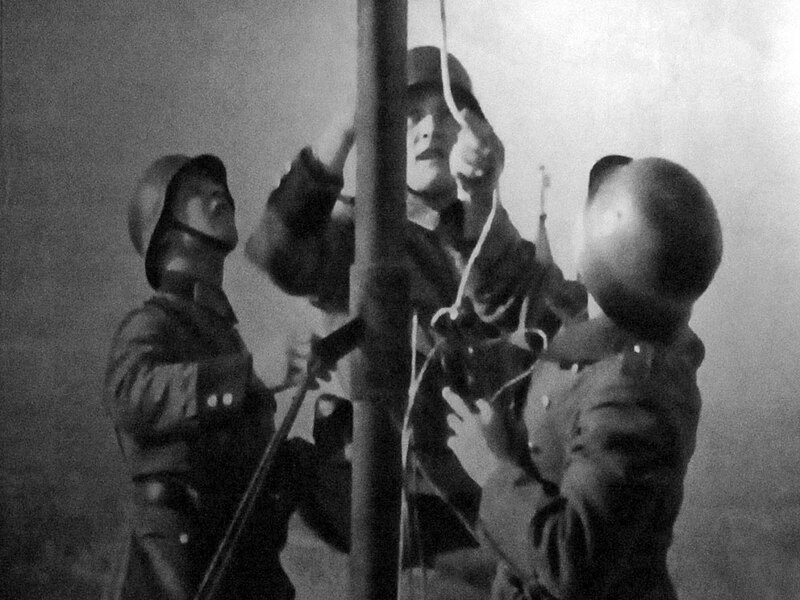 Polish forces put up heavy resistance and in the first few days Germany sustained very heavy losses, However, in less than five weeks, the Wehrmacht had overran the western part of the country with the Russians moving in from the east. 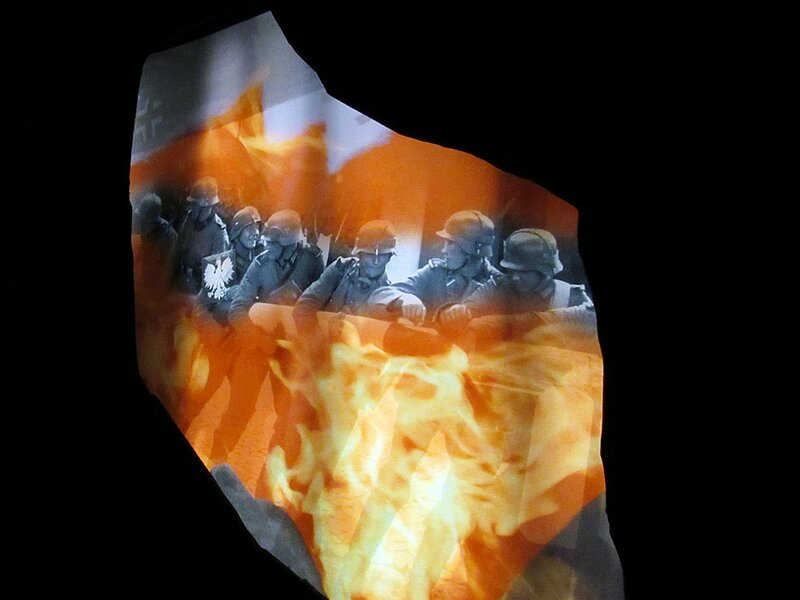 Various partisan units formed and continued to fight with the Polish resistance movement becoming one of the largest in occupied Europe. 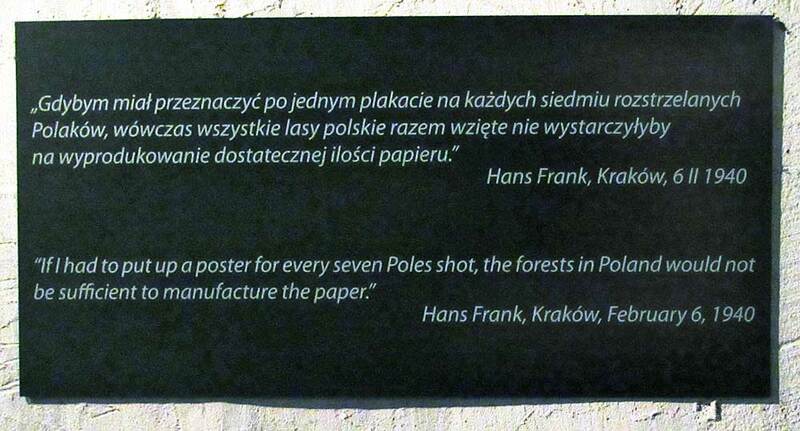 Also, thousands of Poles made their way to Great Britain where they joined the various branches of the armed forces. 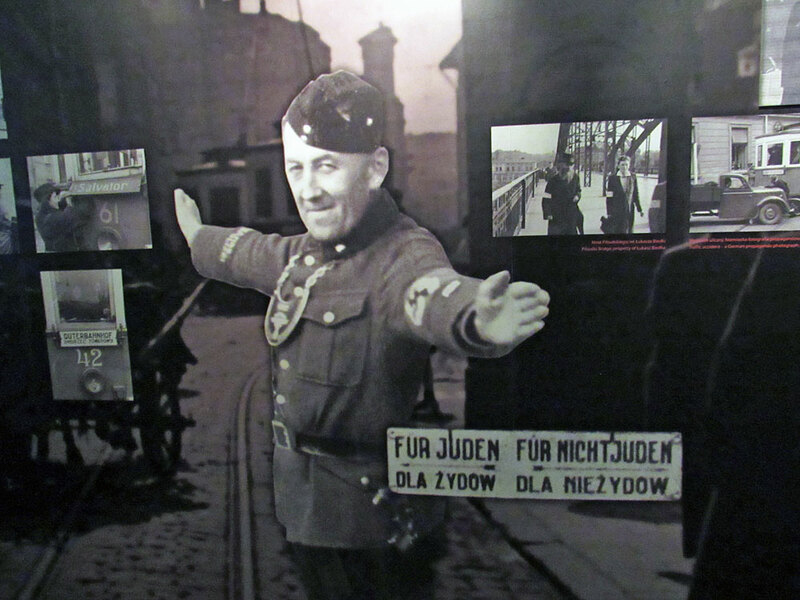 ​Rather than being just a factory tour, this impressive interactive museum covers the Nazi occupation of Krakow during WWII. 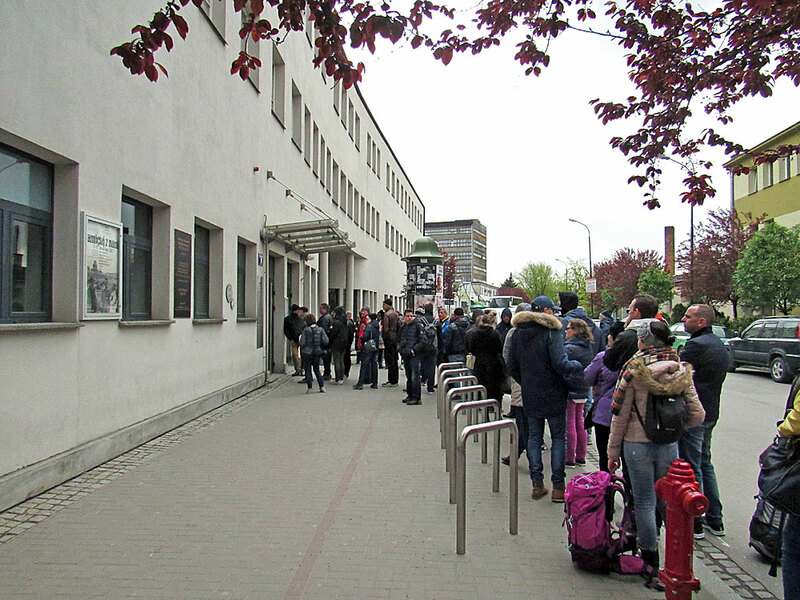 ​Although the exhibits are housed in the former enamel production plant of Oskar Schindler, the Nazi industrialist who famously saved the lives of members of his Jewish labour force during the Holocaust, there is no tour of the factory floor where men and women toiled under constant fear of death. 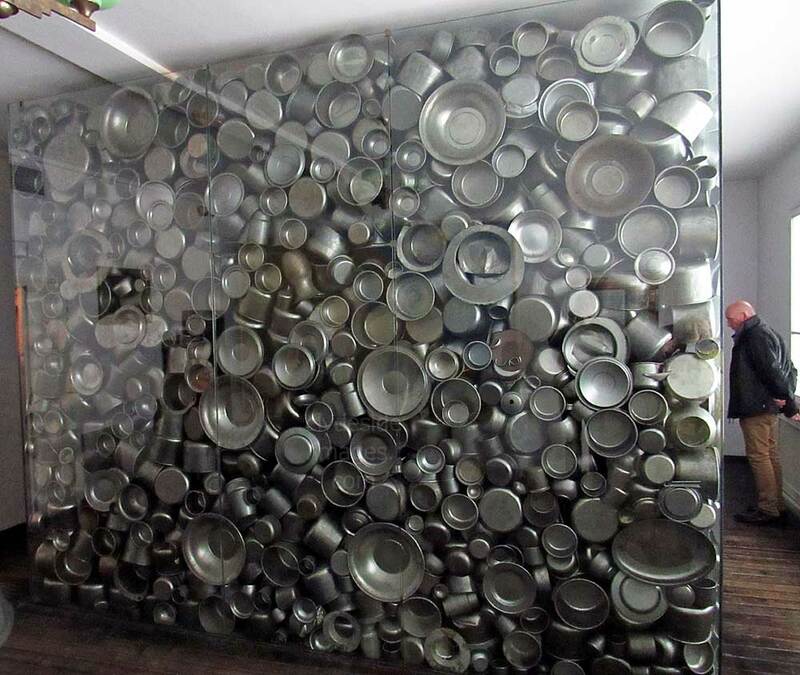 Instead, Schindler`s office on the first floor has been preserved along with a glass display containing hundreds of the pots his workers made for military use during the conflict. 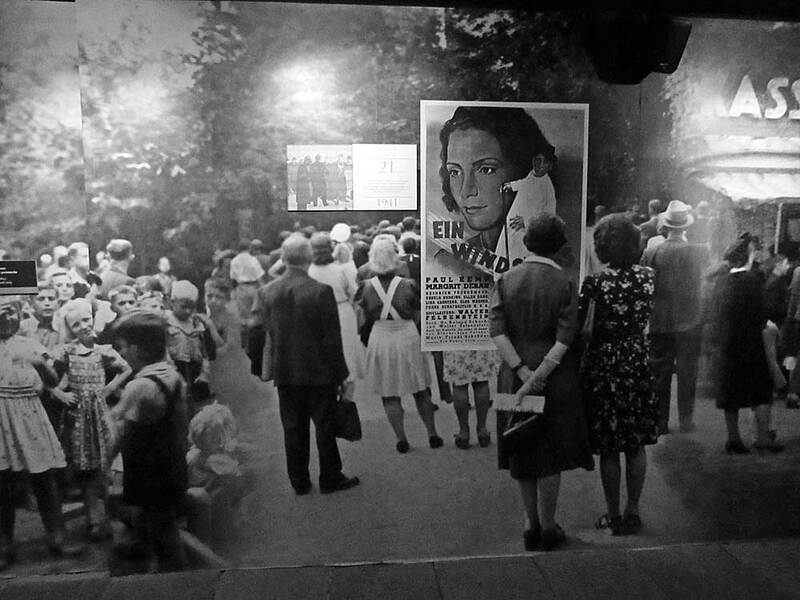 Well organised, innovative exhibits tell the moving story of the city between 1939 to 1945, using an extensive collection of documents, film and still images, not just from official sources but with many private photograph albums, and full scale dioramas on show. Photography inside the building is allowed but flash and the use of tripods is prohibited. I only had a basic camera with a modest low-light capability with me so the interior shots are quite grainy and not the best quality. 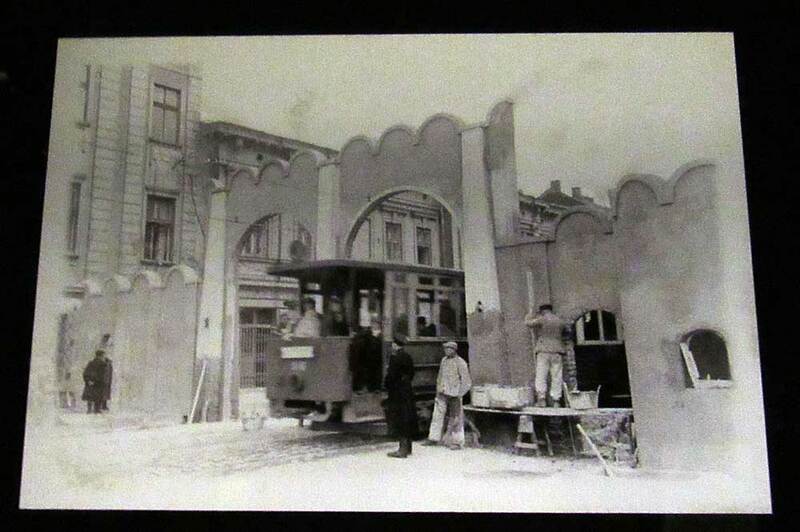 All b&w images on this page are copyright © Schindler`s Museum. 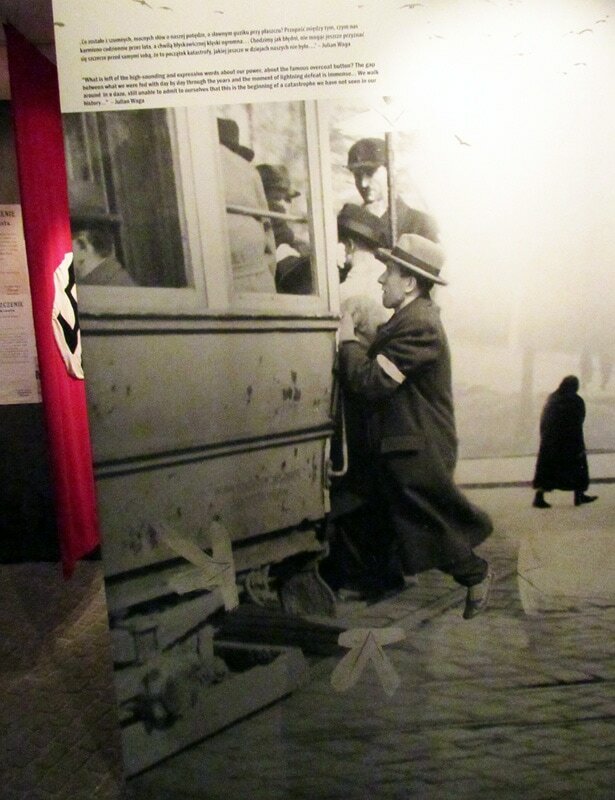 More information can be found on the Krakow History Museums Website: www.mhk.pl/exhibitions. 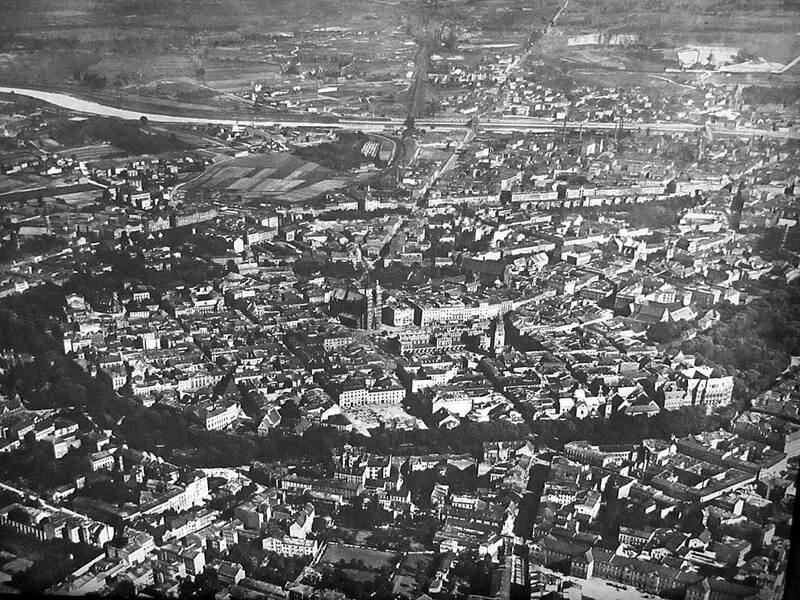 An aerial view of Krakow centre before the German Invasion. 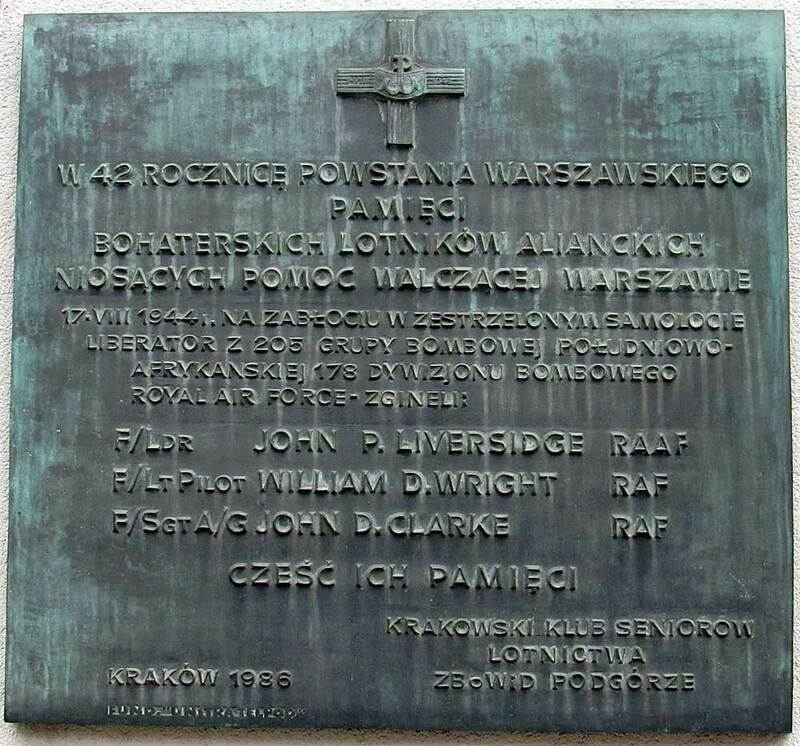 From what I can make out, this memorial plaque on the front wall of the factory honours a British bomber crew comprising Flight Leader John P. Liverside RAAF, Pilot Flt Lt William D. Wright RAF and Flight Sgt / Air Gunner John D. Clarke RAF who were killed when their Liberator was shot down over Poland in August 1944. 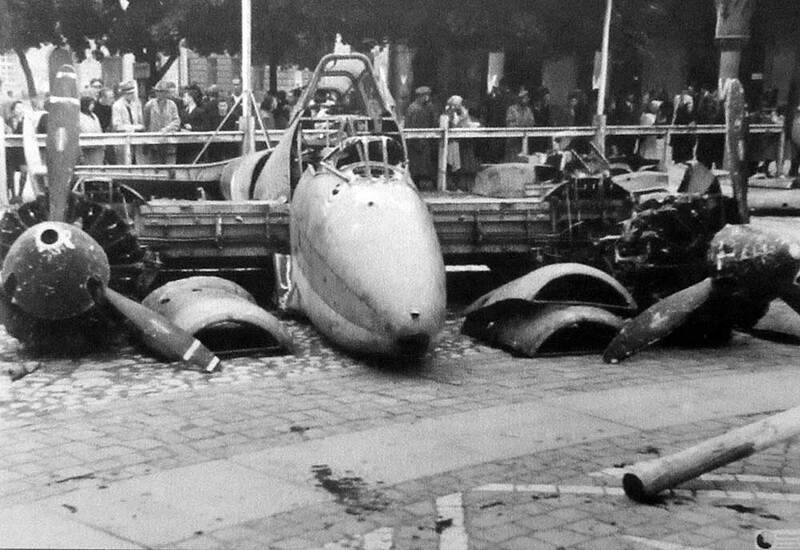 The Soviet bomber on the right was among items of captured Russian military equipment put on display in Krakow`s main square to show the city`s enslaved population how well the German campaign on the eastern Front was progressing. 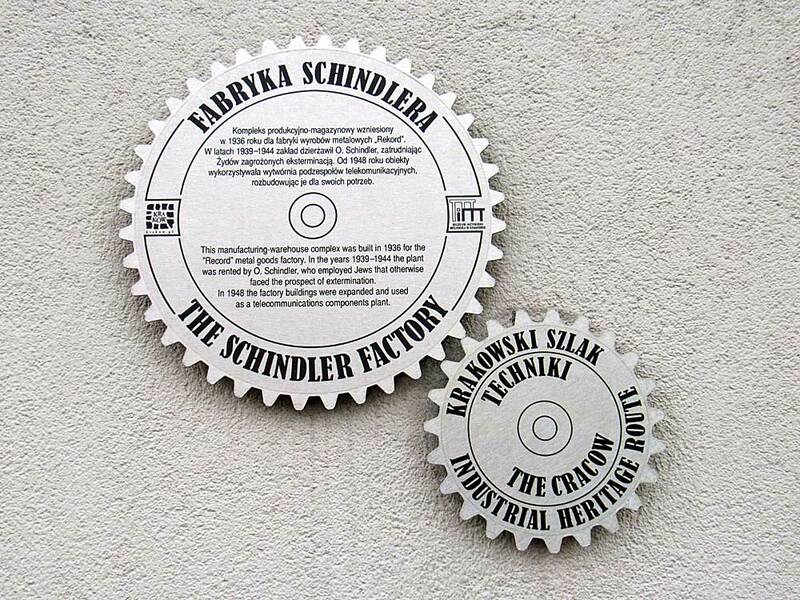 The story of Oskar Schindler was largely unknown until the release of the 1993 epic ​Schindler's List which was directed and co-produced by Steven Spielberg. 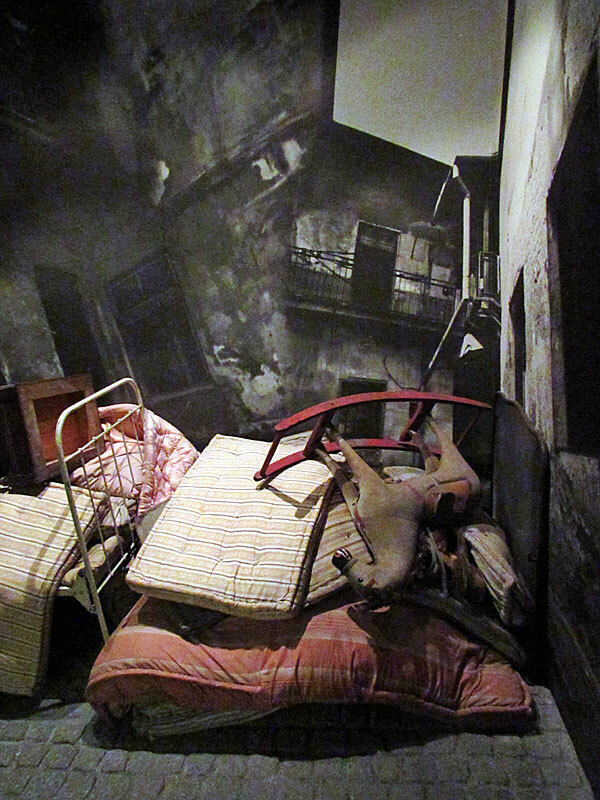 It was based on the novel Schindler's Ark by Australian novelist Thomas Keneally. Starring Liam Neeson as Schindler, Ralph Fiennes as SS officer Amon Göth, and Ben Kingsley as Schindler's Jewish accountant Itzhak Stern, the movie became an instant box office success, earning $321.2 million worldwide for a $22 million budget. It received seven Academy Awards (out of twelve nominations), including Best Picture, Best Director, Best Adapted Screenplay, and Best Original Score, as well as numerous other awards (including seven BAFTAs and three Golden Globes). 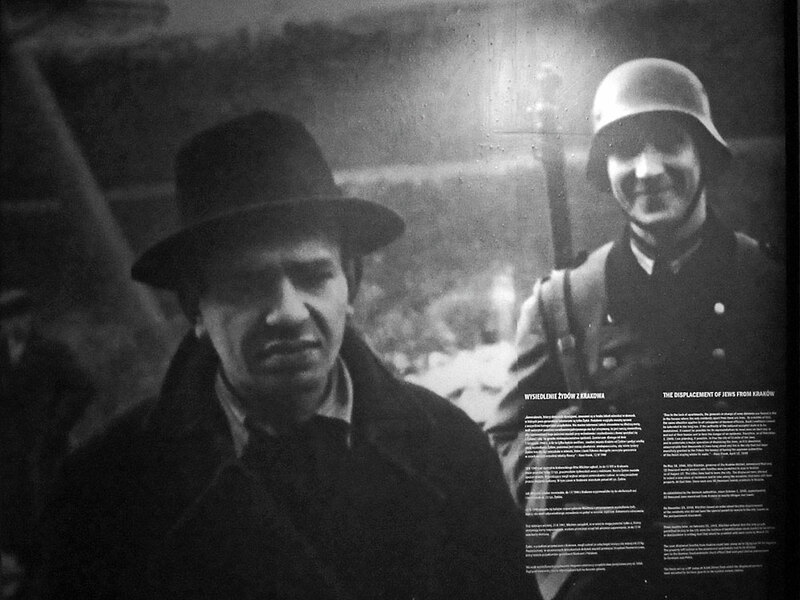 Principal photography took place in Kraków over the course of 72 days and Spielberg shot the film in atmospheric monochrome and approached it as an documentary. Cinematographer Janusz Kamiński wanted to give the film a sense of timelessness. John Williams composed the score, and violinist Itzhak Perlman performs the film's main theme. 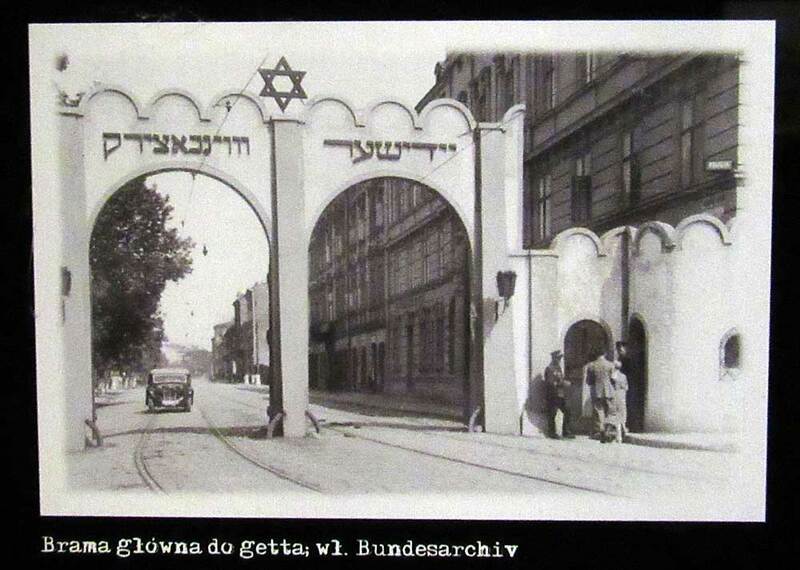 These old shots show some of the gates around the Jewish Ghetto during the German occupation. 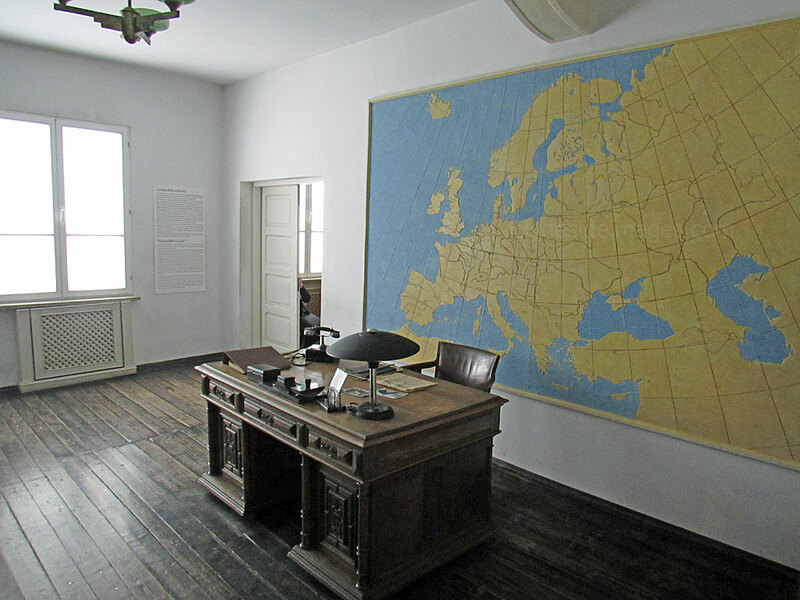 Schindler`s Office has been restored to looks as it would have when the factory was in operation during World War 2, complete with a framed photo of himself on the desk. 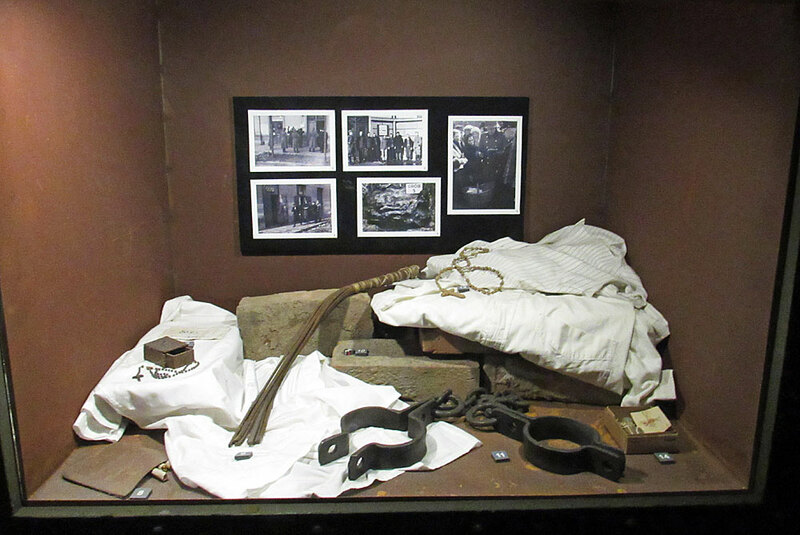 Before visitors can exit the main exhibition area, they must access a short, dimly lit corridor, the floor of which is covered with uneven, loose rubber matting. 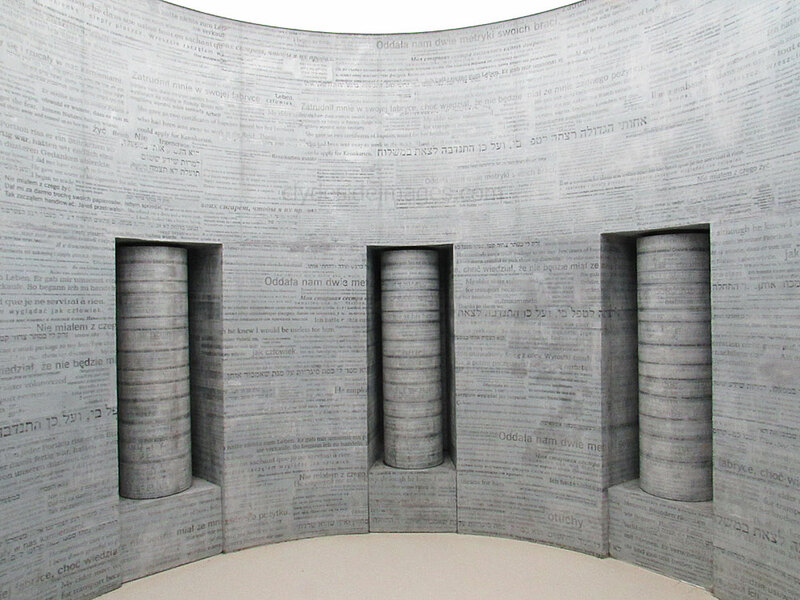 This leads to the bright circular chamber shown below, which acts as poignant and unsettling reminder of the ultimate fate of the millions who were gassed at the death camps during the Holocaust.